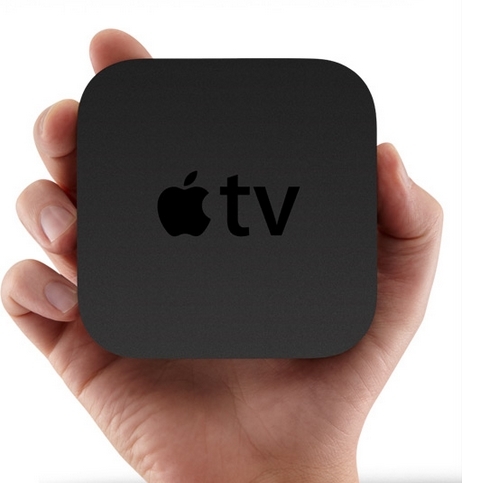 Apple get ready to launch its Apple Digital TV Box in India for Rs. 8,295. It is now listed on Apple's India official page. With Apple TV box user can stream contents from popular services like YouTube, Vimeo, Hulu Plus, Flicker, and Netflix services. Also user can access Apple iTunes Store with Apple Digital TV Box and Purchase Movies and Music or Rent Movies from iTune Store. It's air play features allow user's to stream content via Wi-Fi from iOS devices. Apple TV features up to 1080 pixel resolution video out and it powered by Apple's A5 processor and it has 512 MB RAM and 8 GB NANO Flash memory for caching contents. 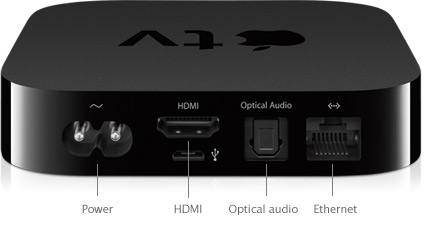 Apple TV come with a HDMI Port, Ethernet Port, Micro USB Port, and IR receiver. Apple remote controller included with this Apple Digital TV Box.